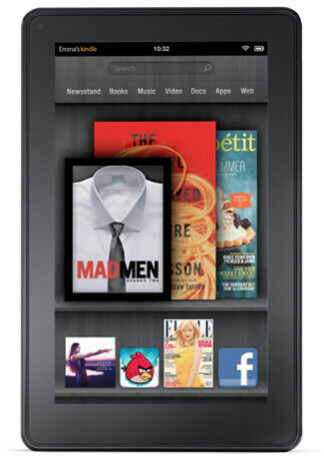 According to Bloomberg, Amazon is testing a way for users of its Amazon Kindle Fire to make in-app purchases. The goal is to gain a level playing field with the Apple iPad and other Android tablets that feature Google Play. Both the latter and the Apple App Store allow in-app purchases that offer app buyers the chance to buy premium services, extra life or tools for a game, or to upgrade to a version of an app not supported by ads. The report from Bloomberg says that the trial by Amazon includes both à la carte purchases within apps as well as purchase options for subscriptions. Apps being tested include Skimble which is fitness based software that generates much of its sales from the in-app purchase of workout programs. Three month memberships are sold for $24.99 while individual workouts cost $9.99 and Skimble's co-founder Maria Ly, says both packages are being made available to Amazon Kindle Fire users. Ly says that Amazon will take 30% of the revenue generated by an in-app purchase, the same cut it takes for a premium app purchase. Amazon always had planned on offering in-app purchases to its low priced tablet. Two months after the Kindle Fire launch last October, the online retailer signed a deal with Bango, a company that offers mobile payments and analytics, which led to talk that the Amazon Appstore would offer carrier billing. Bango's CEO recently said that Amazon would offer its services "in due course." Recent data shows that the Amazon Appstore brings in more revenue per user than the Google Play Store which analytics firm Flurry credited to Amazon's retail know-how. According to an IHS Screen Digest forecast made in January, by 2015 64% of the revenue coming into online applications stores will be from in-app purchases. 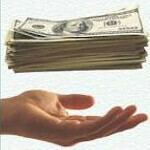 The dollar amount will be $5.6 billion in three years, up from the $970 million generated by in-app purchases in 2011.